Since the last email Penner sent to the media in late September, he has remained mum and away from the watchful eyes of the public. 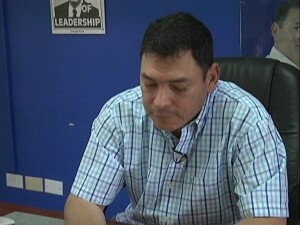 The opposition has called for his resignation or recall, and amid all that there are reports that Penner may be talking to the People’s United Party even though crossing the floor is not a possibility. News Five today asked the party’s deputy leader if there has been any contact with his party. come on PUP, talk to the man. get him to switch sides. He maybe damaged goods, but he does what he is told and is an elected politician who knows the ropes.